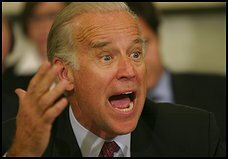 Joe Biden(D-Del) has spent over half his life in the United States Senate. No person can be a member of such a stiffling and self-absorbed institution for so many long decades and retain any sense of modesty. Certanily Biden has none. Nor sanity. As arrogant and outspoken as Biden is, it doesn’t enhance his presidential aspirations, but it does at least make for good copy. Sammon then proceeds to provide zero examples of Obama’s imagined liberal more reasoned positions. I assume Sammon provided none, because there are none. So there you have it a Obama quote and a Biden analysis. Mr. Biden meet Mr. Michael Steele, video , video . Ok, Steele lost his campagn for the Senate in Maryland. However Steele has all the attributes Biden attributes to Obama, bright, articulate, clean and nice looking. Then I posted a Steele video because I figuired it would easier to find than an Alan Keyes video. 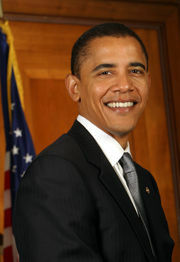 Yes Mr. Biden there are bright, articulate blacks. They just don’t tend to be democrats.